How about a little shopping? 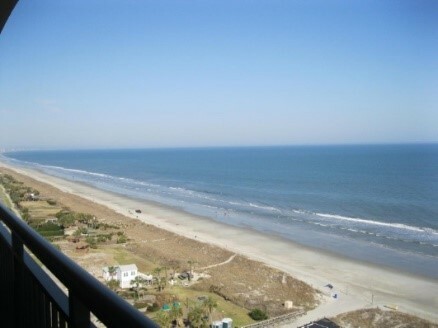 Okay, now you’ve checked into your favorite Oceanfront Vacation Rentals, property. The Grand Strand is dotted with retail centers, shopping malls and outlet shops, as well as mega-complexes like Barefoot Landing and Broadway at the Beach. However, there is nowhere else with more shopping variety than the Market Common in Myrtle Beach. 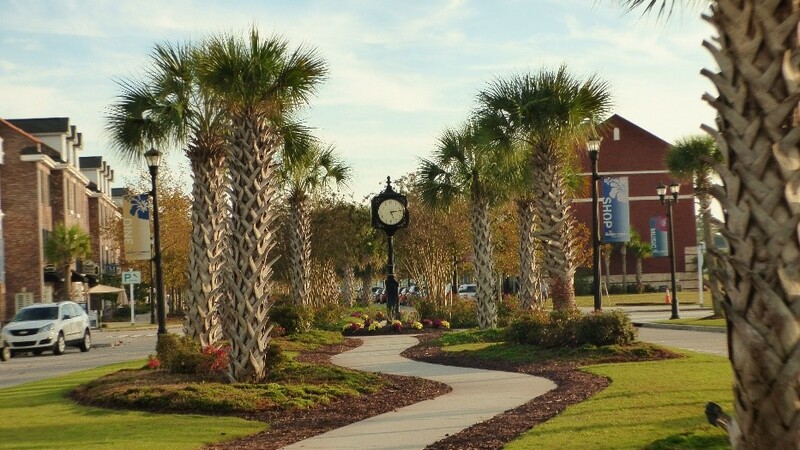 Set on the former Myrtle Beach Air Force Base, this urban-style dining, shopping, and entertainment complex is enclosed by plenty of green space. The neighboring Valor Park has sports fields, exercise trails, and playground facilities, which are ideal for relaxing after shopping with a quick meal as the kids get to play. Otherwise, you may also enjoy a delicious meal or fine dining experience at any of the numerous resultants located at the complex. Anthropologie is a shop that not only offers a range of hip and casual women’s apparel, but the shop also sells unique home decor as well. Vases, coasters, floor lamps, decorative pillows, and pictures frames are all available. Other national brands customers will find and recognize easily at the Market Common include Bath & Body Works, Fossil, Sunglass Hut, Barnes & Noble and the Banana Republic. Of course, there is also a great combination of restaurants, including The Brass Tap, Nacho Hippo, and P.F. Changs. No matter which style of cuisine you love, the Market Common has it all. From American, Asian and Italian like Travinia Italian Kitchen, Travinia is quite upscale, but they serve delicious meals at reasonable prices. Although it is a magnificent shopping center, the Market Common in Myrtle Beach, SC is also a popular destination for food festivities, other culinary celebrations, and social events. Annual celebrations usually feature oysters and wine, as well as the annual Oktoberfest. Also, various festivals give the community a great opportunity to showcase the gift of local fruits and vegetables, including watermelons, okra, squash, green onions, beans, and peaches. Catch your favorite movie every day Friday evening at the Valor Park while relaxing under the stars. On Thursday evenings, you can get a chance to dance to the tune of live bands as you watch live music performances at Valor Park. The Market Common offers so many exciting things to do; that you could spend each day of your Myrtle Beach vacation there and still find more to do when you come back. 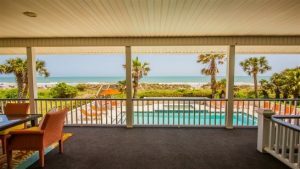 After your busy day of shopping and fun it’s time to head back to get a little rest, after all isn’t that what you love about the variety of beautiful resorts by Oceanfront Vacation Rentals? Now sit back, relax and enjoy one of the many views like South Wind Penthouse 3 or Eagles Nest, an 8-bedroom ocean front house.